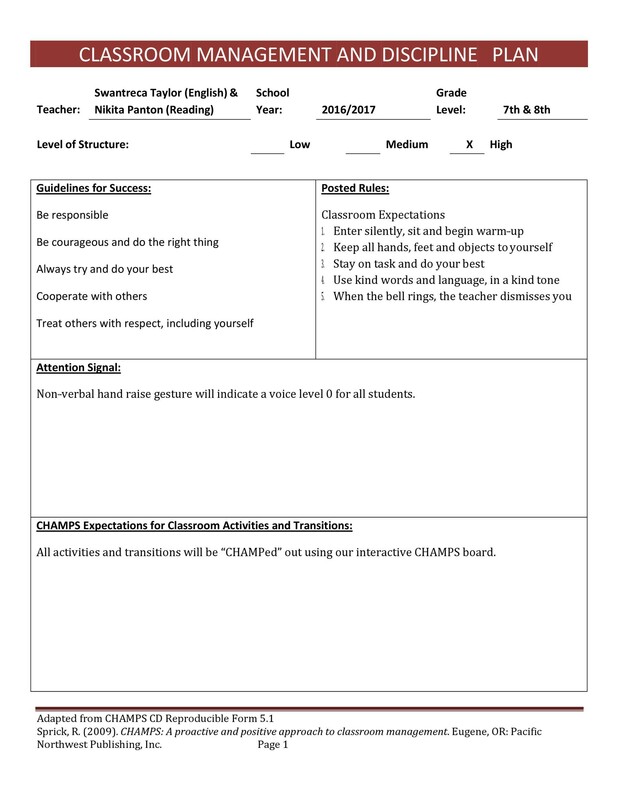 It is important for teachers to formulate a classroom management plan template that would entail procedures to exclude the need to yell or scold or lecture or other stressful and counterproductive methods. 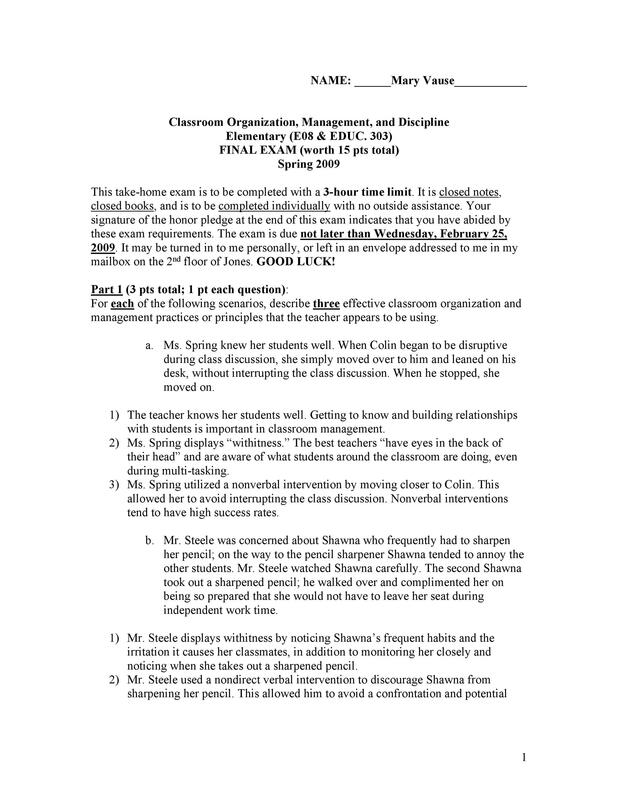 Such plan would rather hold the students accountable for their misbehavior and it allows the teacher to demand from the students’ faultless behavior. Teachers applying counterproductive measures usually cause friction and resentment from both the teacher and the students instead of developing meaningful and effective relationships. 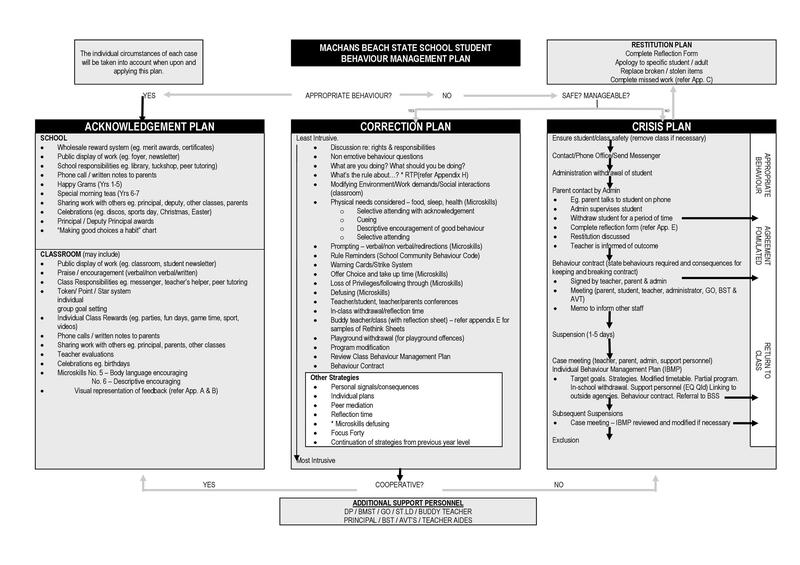 To develop such a plan, the teacher needs to list down every conceivable misbehavior or disruption that could occur in the classroom and use this as a basis to devise a set of rules. These rules will work because being exposed to such misbehaviors; the rules make sense to them and will be easily and fully enforceable. When writing these rules, tend not to be ambiguous. Express the rules in a simple form so as not to encourage arguing, complaining and fault-finding. 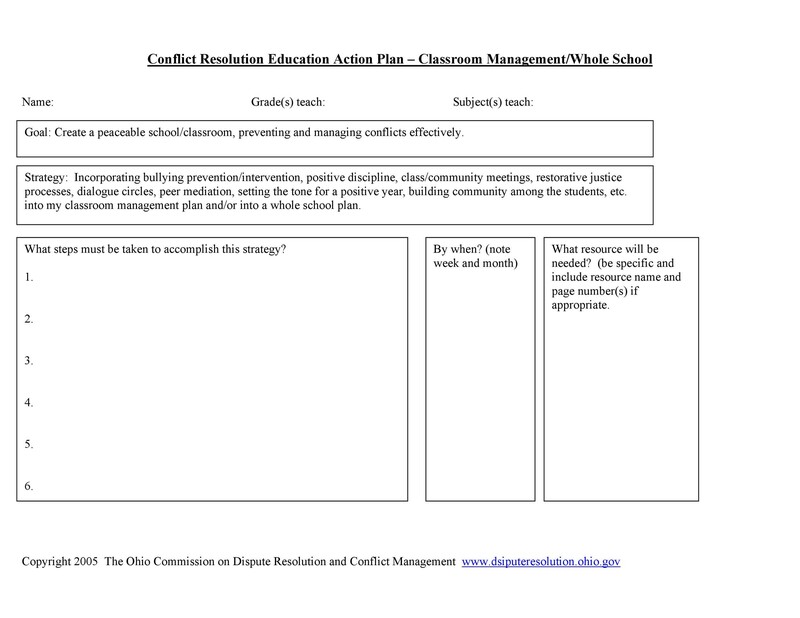 After the rules are defined, the next step is to compose a set of consequences to give the rules the force that is required to effectively manage and control the classroom. Rules by themselves will not solve the problem of misbehavior because, without the consequences, the rules just become mere suggestions and will not be taken seriously. These consequences should function throughout a single day. If the rules are strictly adhered to, the students upon arriving for school day will already know their responsibilities: lessons should have been learned, no resentments allowed, and each day will be a new day. And with such attitudes, students will have better chances to succeed, to grow and to be better than yesterday, but the plan must be followed faithfully for it to succeed and it should be carried out in a certain style. Success is in the plan itself. No paranormal forces are involved. Thinking of it in its simplest form, it is a set of guidelines written simply on a piece of paper. Every teacher should have had the experience of almost, as they say, “losing it”, where your sense of justice swells up into a rage, your eyes narrows, you have palpitations and steam just billows out of your ears. You zoom in on that little tyrant who unceremoniously interrupted the lesson you spent hours to prepare. But what should make you madder is that the student is nonchalant about the incident and seems to be amused as if challenging you to “lose your cool”. Although it may seem that students will show indifference when holding misbehaving students accountable, more often than not, they are really cheering for you. They will appreciate your decisions and they will slowly gain your respect. They may let you know covertly through whispers, cards, notes squeezed into your hands or sneaked into your desk. Adhering to your plan will instill in them a sense of fairness and ultimately create an environment conducive to the learning process. Nobody likes a grouch and that is how students picture a teacher who glares lectures, scolds and some other confrontational methods. If you can set aside those practices, your likeability factor will exponentially improve and as a consequence, they would want to know you better. This makes the building of influential relationships easier and more natural. In the classroom, peace is a consequence of applying fair and firm accountability. These factors will also create a more conducive environment for learning when the students are not subjected to the nervous stresses of interruptions, drama, and tension. Your strict compliance to your plan will instill in your students that you are true to your word. Trust will develop and will grow stronger each day. Conversely, if you deviate from your plan, the students will begin to question your intentions and distrust will develop and gradually grow. The elimination of hostile confrontations or the display of unwanted sarcasm will be a result of following your plan. This will be interpreted by your students as kindness with no pretentions. They will see you as a model of such trait, especially if your words are put into action. Remember that young students are precocious and can spot a hypocrite a distance away. Once a teacher displays poor management or a weak personality, students will usually take advantage of this and become unruly. Respect dissipates and the classroom will become chaotic. Who could respect a teacher who loses control, becomes grouchy and non-committal to her own rules? Always remember to follow your plan to maintain a sure path to respect. When noise, unnecessary disruptions, and chats are eliminated, concentration on the academic process becomes faster. There will be more focus on their school assignments because of the teacher’s management skills and a lesser possibility of unnecessary interruptions. 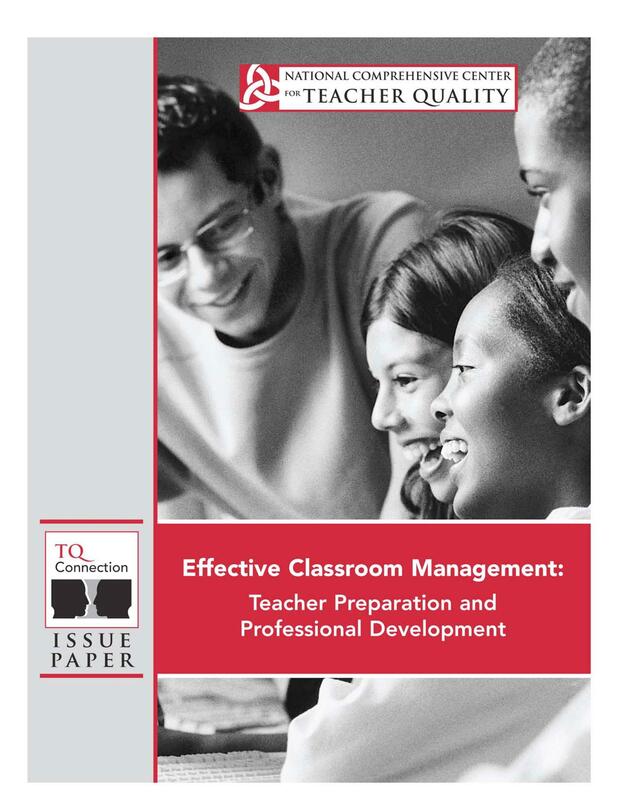 Students will appreciate and enjoy more time in learning if the teacher gives top priority to classroom management. The quality of time spent on assigned tasked in learning is a measure of academic progress. 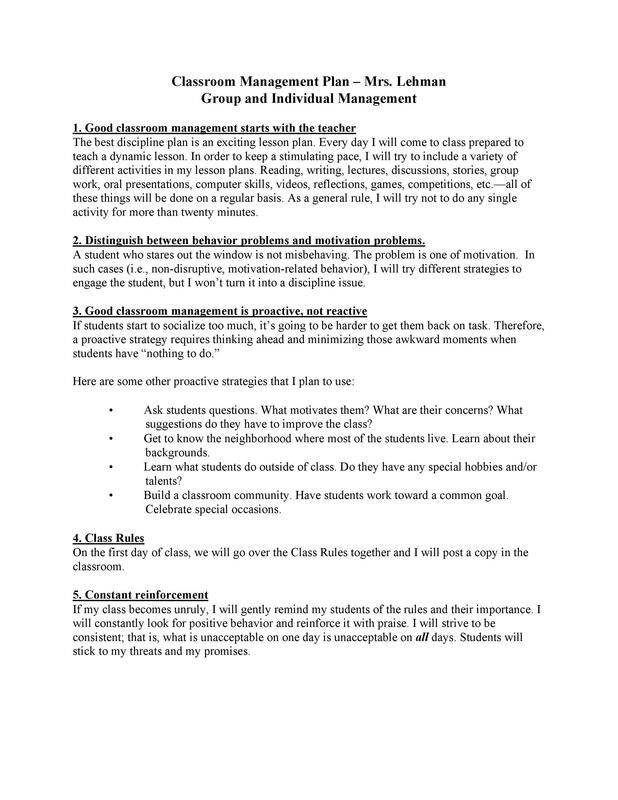 When applying the rules of your management plan, always be sure student accountability is fair to every member of the class. You need to be decisive. Uphold the highest ethics in management and do it without guilt or second thoughts. On the side of discipline, parents will appreciate the fairness of rules and consequences. If the parents are provided with the management plan which defines the rules and consequences, its importance will make sense to them. It will give them the reassurance that their children will be safe and the learning process will be faster and without interference from other students. On cases of behavioral problems, they will be informed when and how to be contacted. 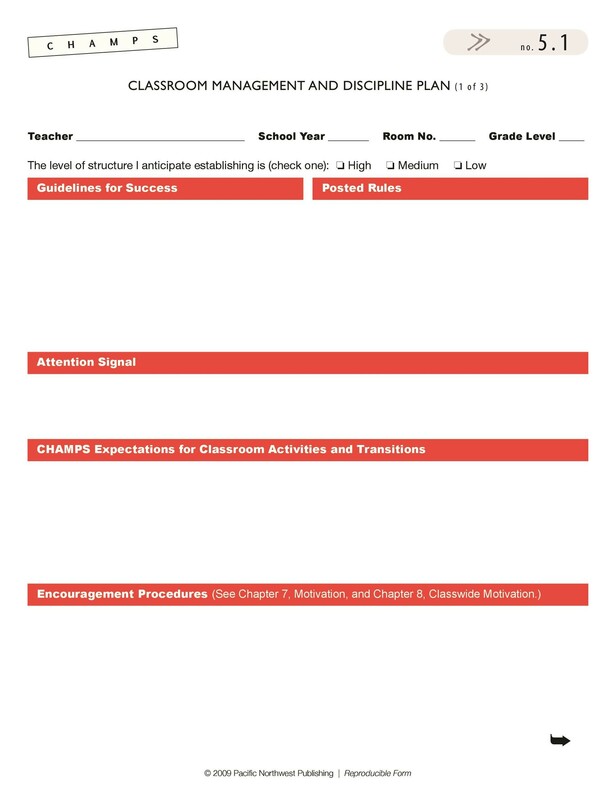 Making a good sample classroom management plan is important for teachers and students. 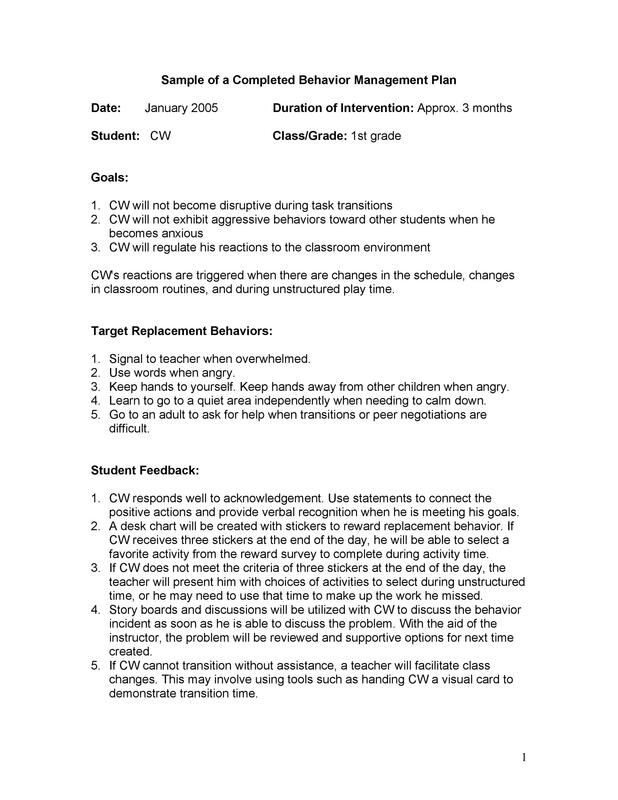 For the teacher, the plan’s guidelines will inhibit her from resorting to counterproductive methods in dealing with misbehavior. 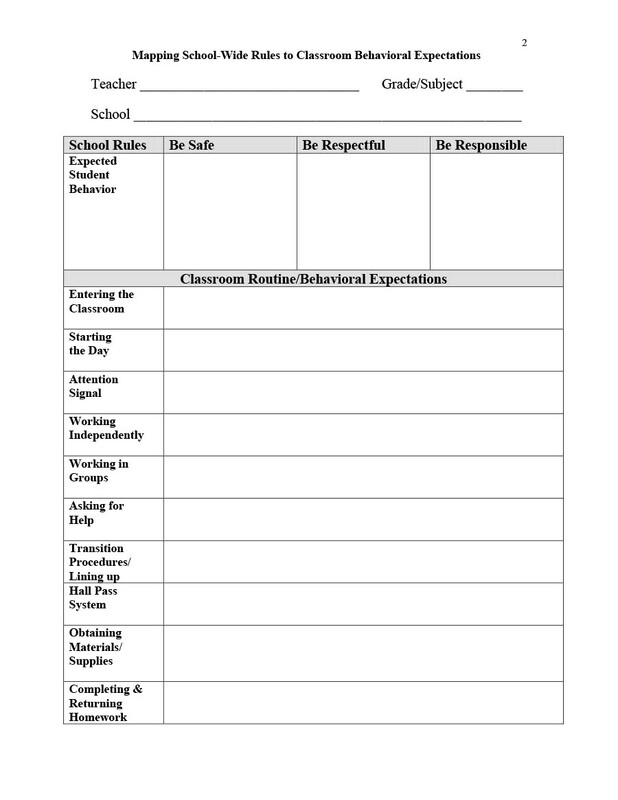 The teacher’s application of the consequences of misbehavior will create an environment more conducive to the learning process. And for the students, when the plan is applied strictly, it will result in better progress in the learning process and at the same instilling discipline in them. 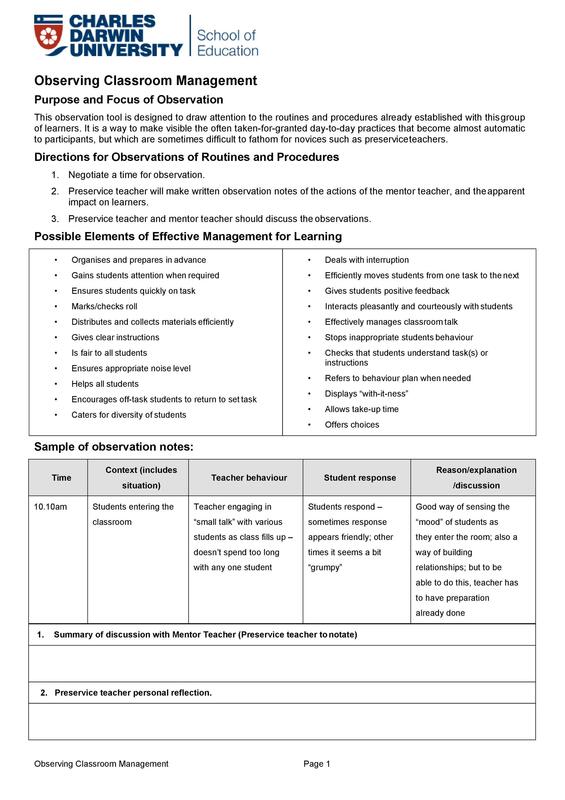 The use of procedures and teaching techniques to promote safe and efficient learning defines Classroom Management. The kind of disciplinary measures and behavioral expectations are the central to the system, especially to teachers in the primary level. 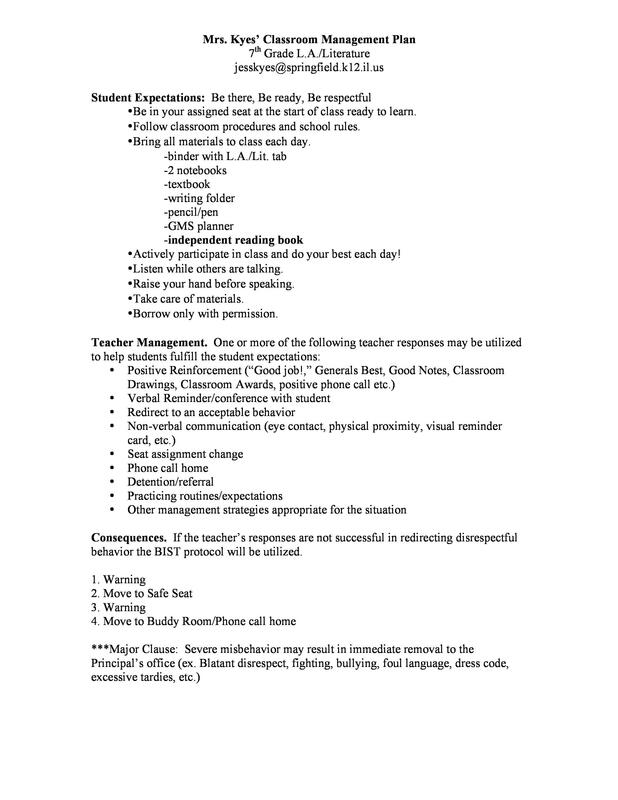 For each year, students age/change and teachers need to adjust their managerial styles of instructions to these changes. Teachers need to have some degree of intentional design in the arrangement of classroom facilities. The effective positioning of desks, displays, storage, and equipment will definitely create a warm and welcoming room. Dispose of unnecessary and distracting items in the room. Classroom design is often taken for granted but is as important. After all, it is the student’s home away from home. 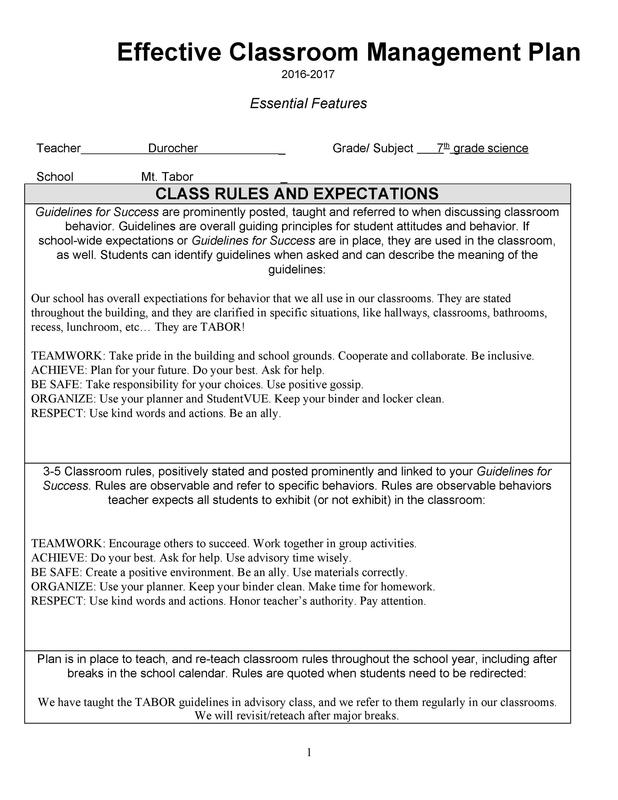 When planning your classroom management rules, make certain that such rules will harbor, among the students, respect, and care in the classroom. 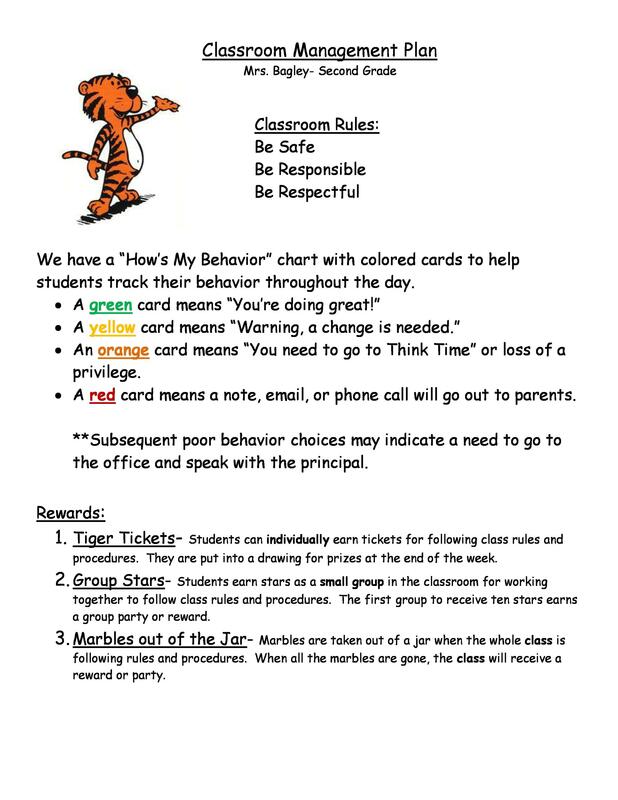 Review these rules with the students at the beginning of the year and inform them of your expectations on their behavior. 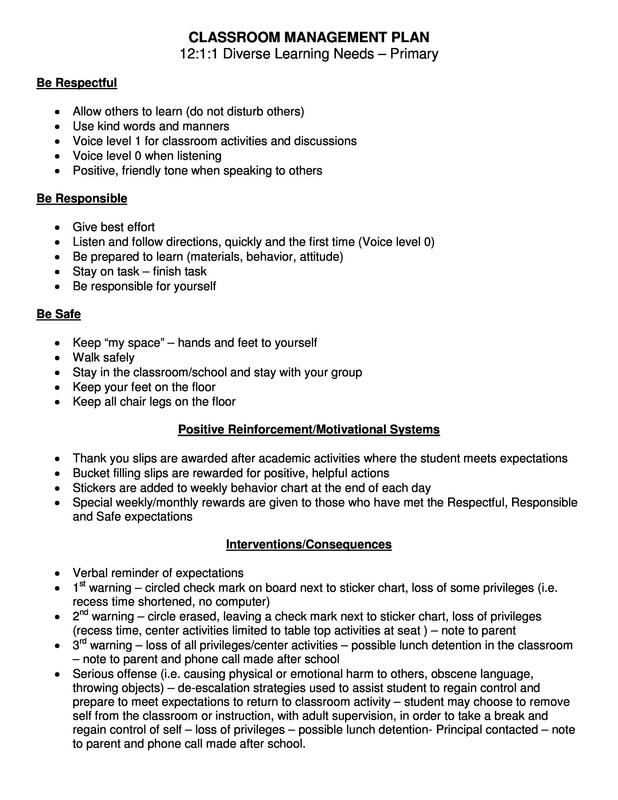 These rules need to continuously be reinforced and as a constant reminder, post these rules on a visible location in the classroom. By nature, students have the tendency to test the limitations of their teachers, especially at the beginning of the year. Some misbehaving is something inevitable in the classroom. Here, the teacher needs to be firm, unwavering and consistent in dealing with disruptions. Her rules regarding punishments must have strong consequences. First reprimands could start as warnings and further disruptions will involve demerits, detentions and other official reprimands. 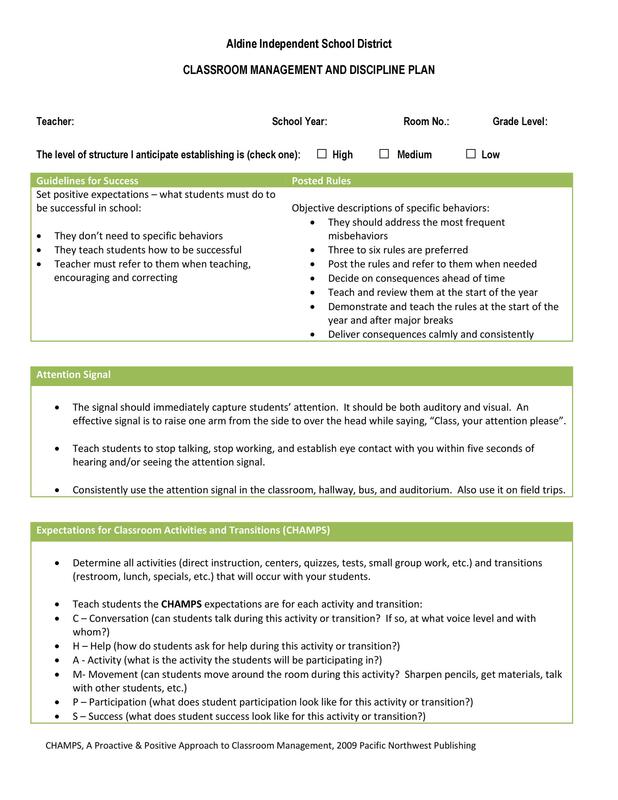 Counterproductive actions like yelling, cursing, hitting, embarrassing students should definitely be avoided. The teacher must see to it that the students will have ample time for their classroom assignments. Never cram work activities too close together as it will lead to disruptions and worse, poor understanding of the work involved. Assign time spaces before and after room change so the students could have time to settle down, ready for the next task at hand. 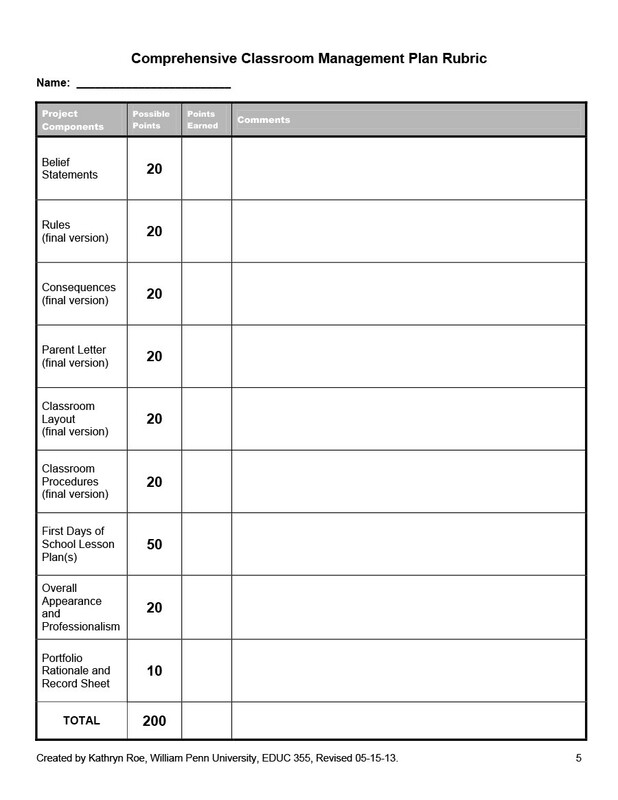 Setting a regular daily schedule will help you and your kids to prepare classroom work. Be firm but fair on due dates. If you do, procrastinating will be solved. This topic is the best time saver in carrying out the activities in the classroom. It entails keeping student files, assignments, lesson plans and administrative paper work in order. 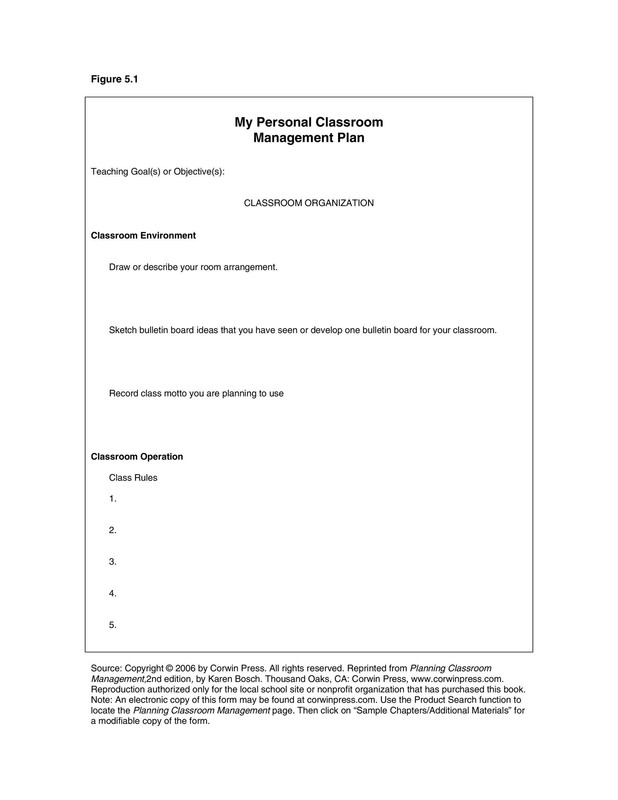 When everything is organized, you save instructional time when locating classroom materials. Students can look up to you a model as well in organizing work. But don’t limit this system to yourself, share it with your students. Post the classroom calendar, homework schedules and assignments on the board. Allow the students information on what comes next and prepare for it. 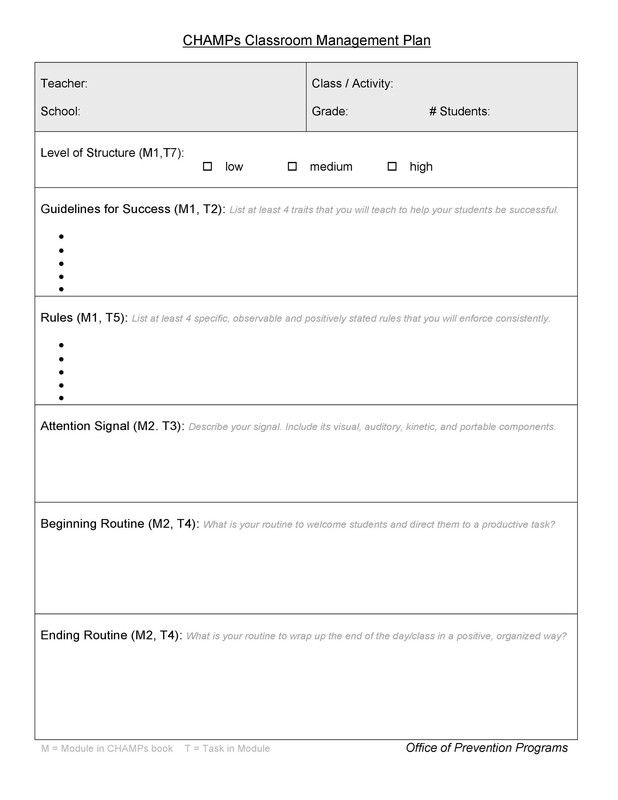 Encourage independent learning by providing students with their own agenda (notebook). 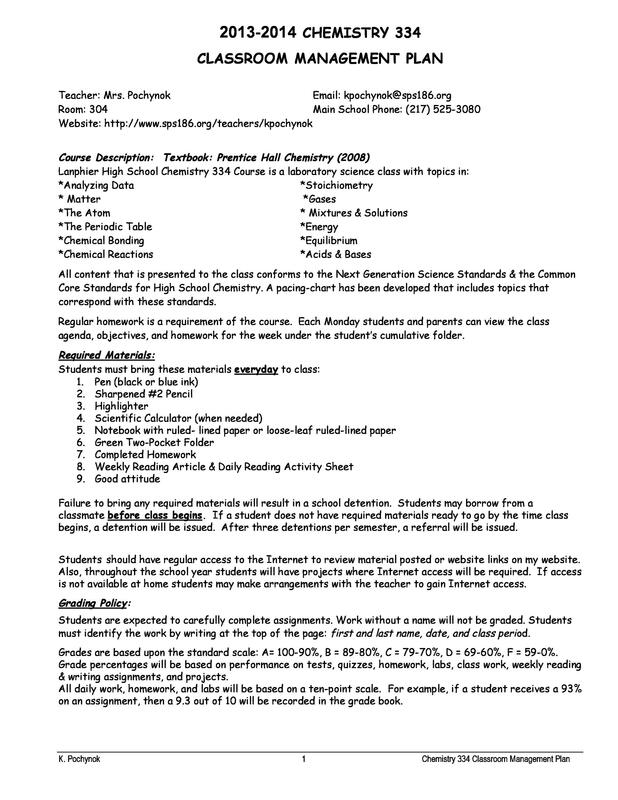 You may require students to have their notebooks checked at home or during class. 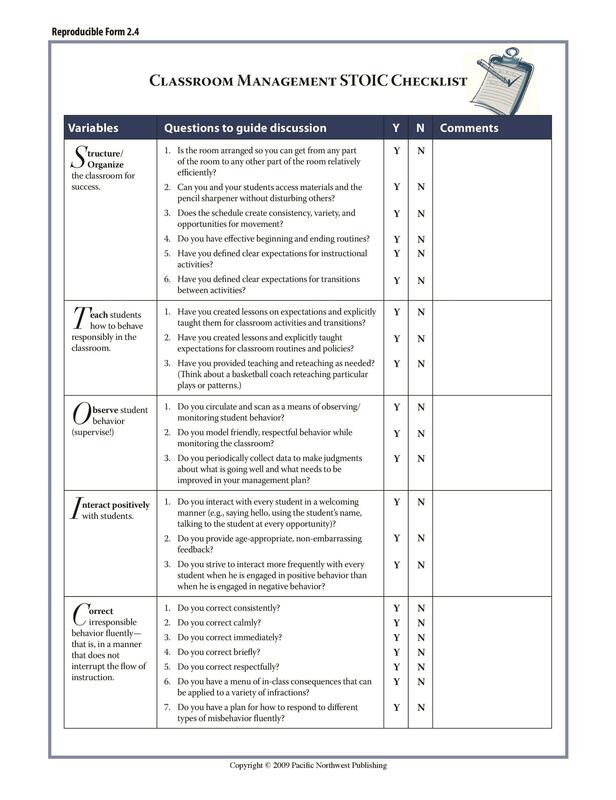 Allow flexibility over the content of your curriculum to convey information about the subject as you/they see fit. Tailoring your instructional technique to the grade level, subject area and students are very important. For example, a demonstration on electricity will certainly draw attention from 8th graders but will not be as effective to 3rd graders. If you were handling the latter, find some technique to draw their attention. Vary the style and intensity of your lessons. For instance, after a lecture-style session, follow this up with relaxing group activities. There is nothing wrong with consulting your colleagues for new lessons. After all, you can also contribute something new in these consultations. Learn about your student’s learning styles: their learning curve, their best interest, their group work ethics. 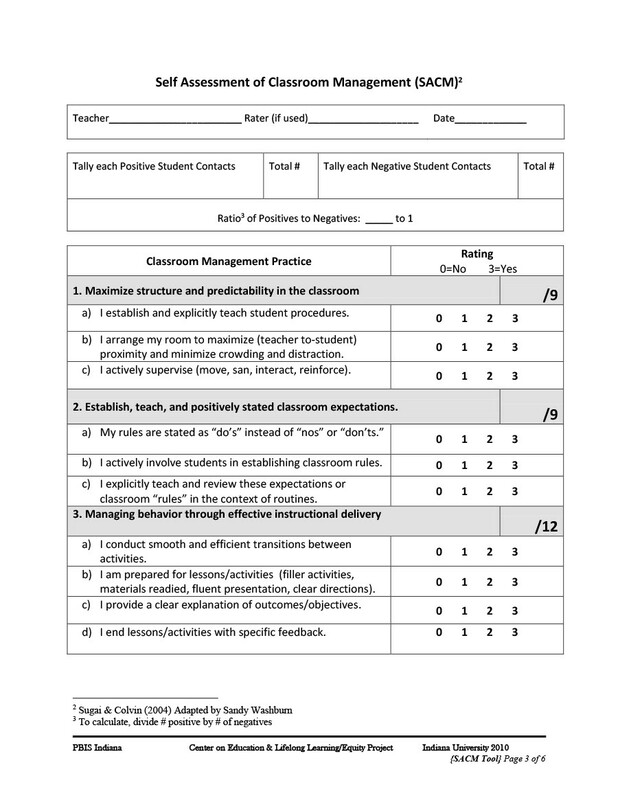 Data from these will work well when you fit your teaching style to the student’s needs. For effective classroom management, always take into consideration the factors that will make you classroom conducive for the learning process. The teacher should always be cognizant of the fact that as students mature or age, their teaching techniques will also evolve so as to enable the students in their development. Basic knowledge on what an effective classroom requires should be the teacher’s responsibility. Maintain beneficial articles and dispose of disruptive one. If need be, modify information to personalize the class. Learning is a life-long learning experience, even for teachers. In their course of their teaching life, teachers encounter situations that could be applied to the current. Teachers should take notes. She would know from these notes what works and what hinders the student’s learning. 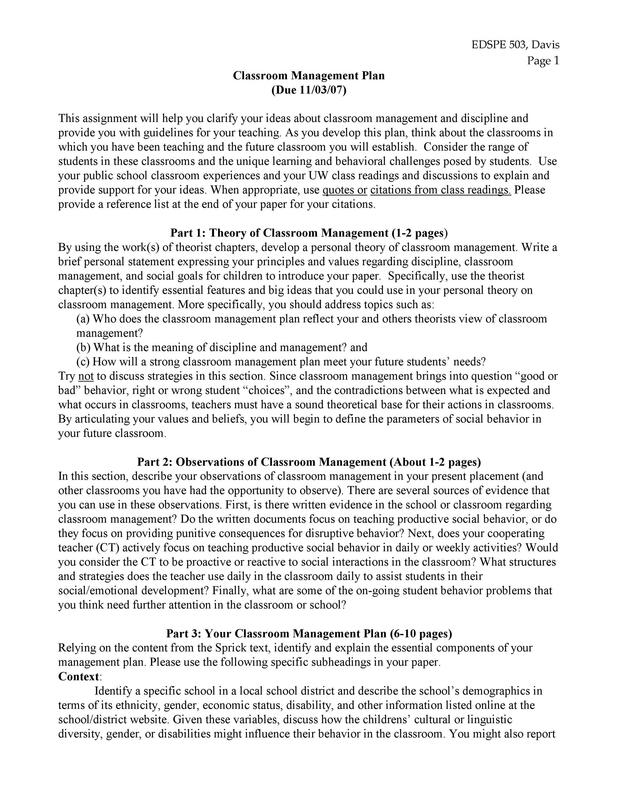 When making any kind of classroom management plan, whether it’s a high school classroom management plan or some other kind, think about it well. When teaching older students, allow them to discuss their behavioral, cognitive and humanistic theories. This is essential to the student’s educational growth. School policies should always be considered. 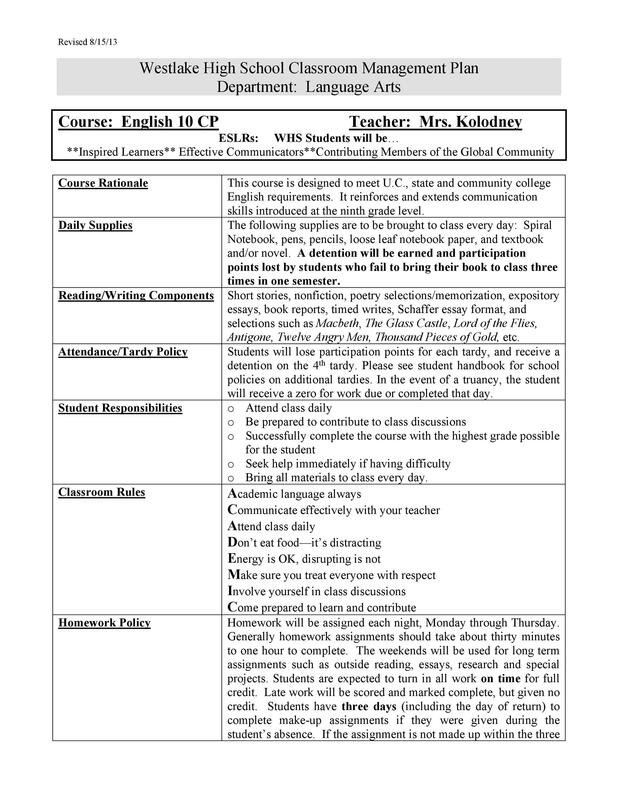 The teacher should observe these policies without having to deviate from making the classroom interesting and engaging. 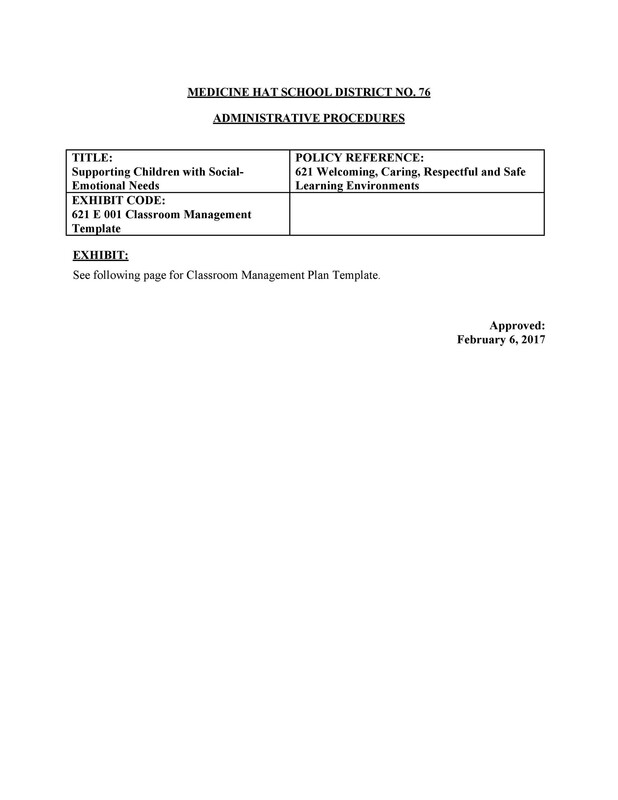 If the classroom management plan needs to be changed to benefit the student, then it is important that the teacher do so. Teacher need not be afraid to make modifications because the student is the highest important factor and not the plan. To maintain the classroom safe and comfortable, consequences should be applied against disruptions. Students need this structure in the classroom. Displaying information is a great way to remind the students. The most important displays are the classroom rules and consequences. 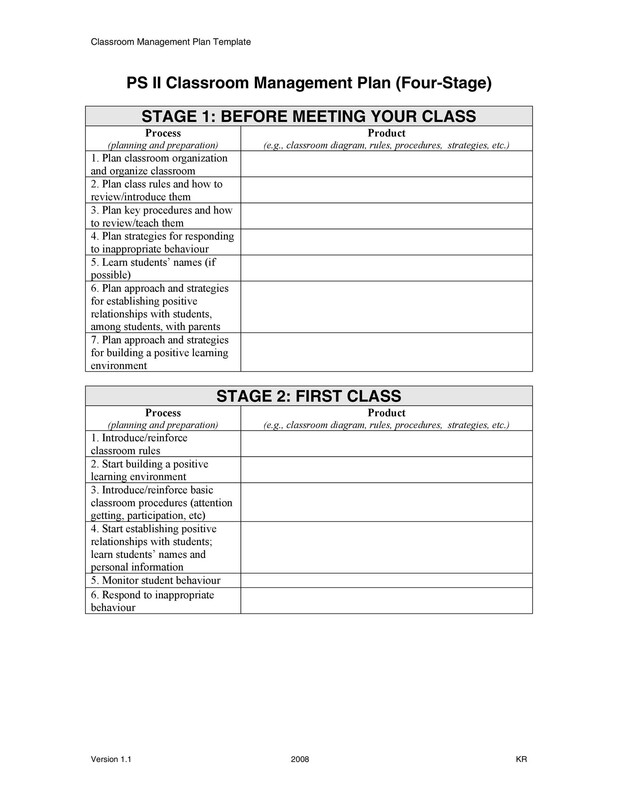 This will enforce the structure of the class without wavering from the class discussions. 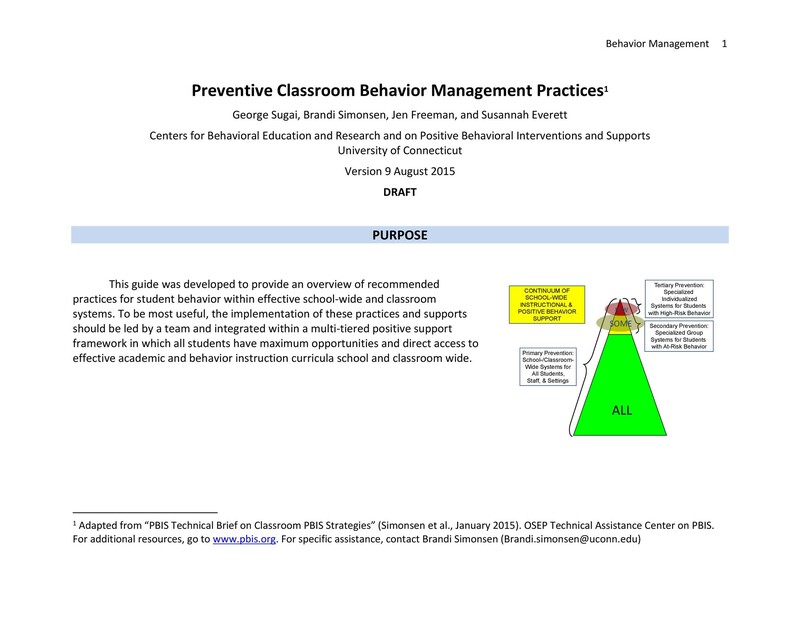 When you consider these, you will be able to make an effective classroom behavior management plan. 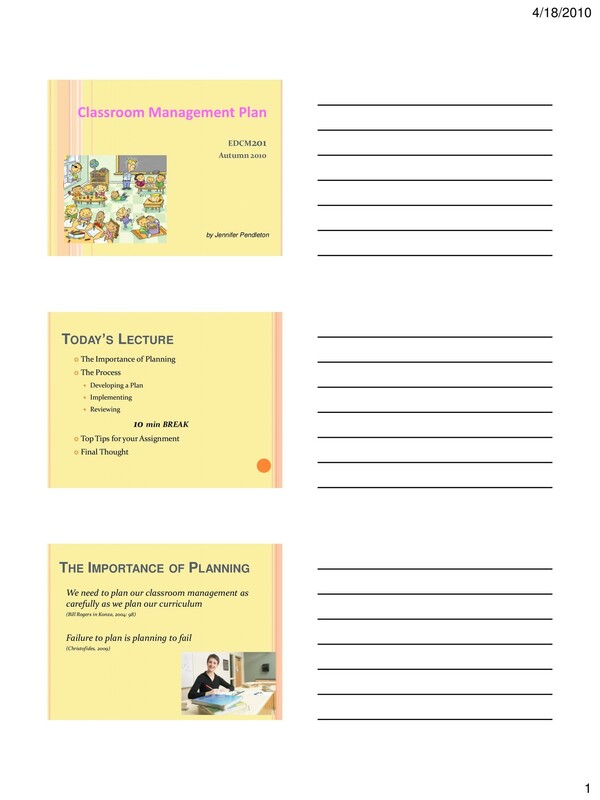 These tips are founded on the concept that the most important factor to consider for designing the plan is the student. 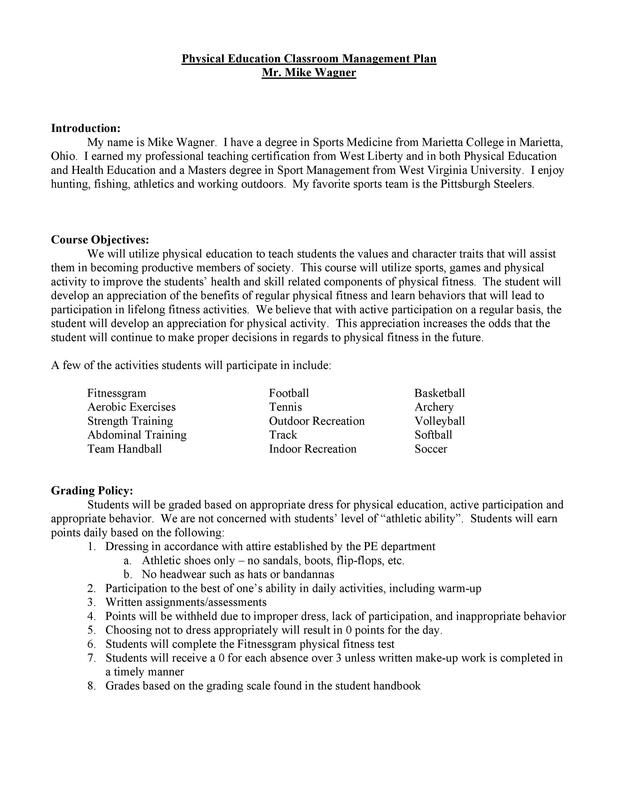 In making the Classroom Management Plan, it is always the welfare of the student that takes precedence. In the classroom setting, the student’s safety and feeling comfortable should be provided to make learning more effective. 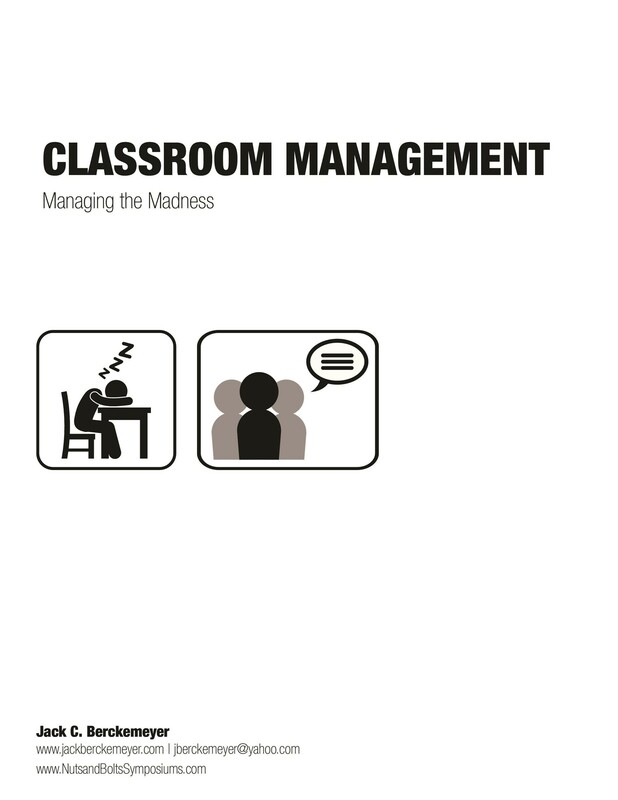 It is then the teacher’s responsibility to manage the classroom so as to create a conducive environment for learning. 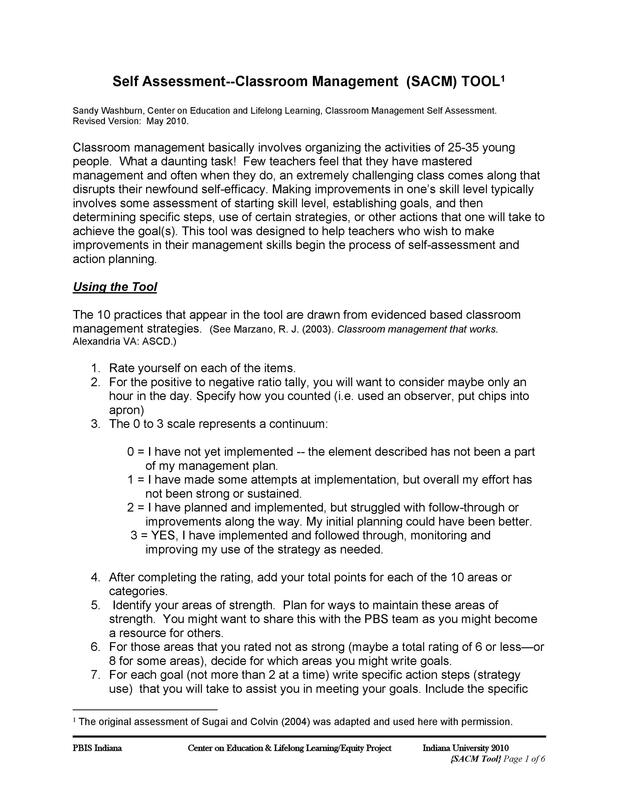 The Classroom Management Plan is a strategy to accomplish this, at the same time maintain control of the classroom as well as redirect and deal with disruptive behaviors. Think about your philosophy. Start by stating your philosophy of motivation. In simple terms, the teacher lays out what he/she believes about education and how the students should learn. Discussions on what environment should be created and how to create it, both physically and emotionally. 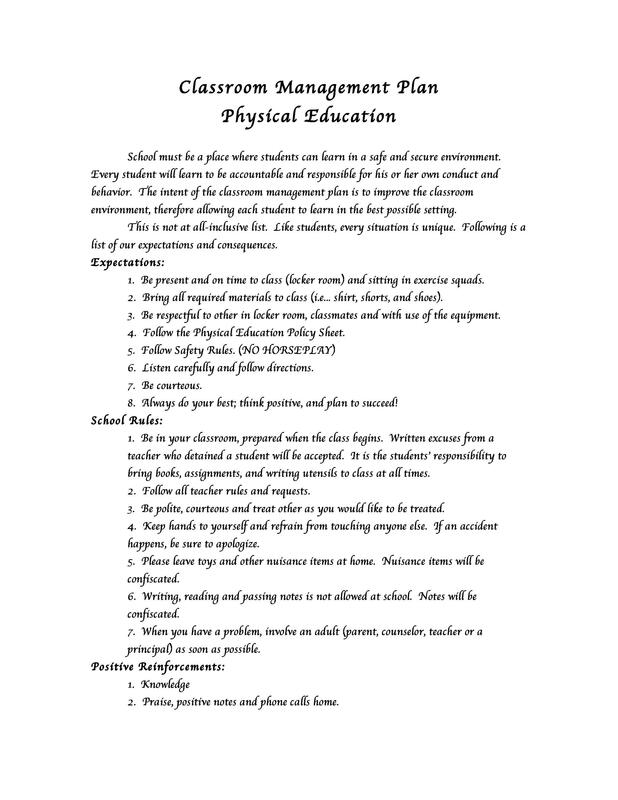 Start with the policies and procedures of the school. The school usually has these in place, even the consequences and rewards. Use the school system as a basis of your own, infusing your own policies, procedures, and rules to be able to create a positive classroom environment for your students. Try to use positive reinforcement. 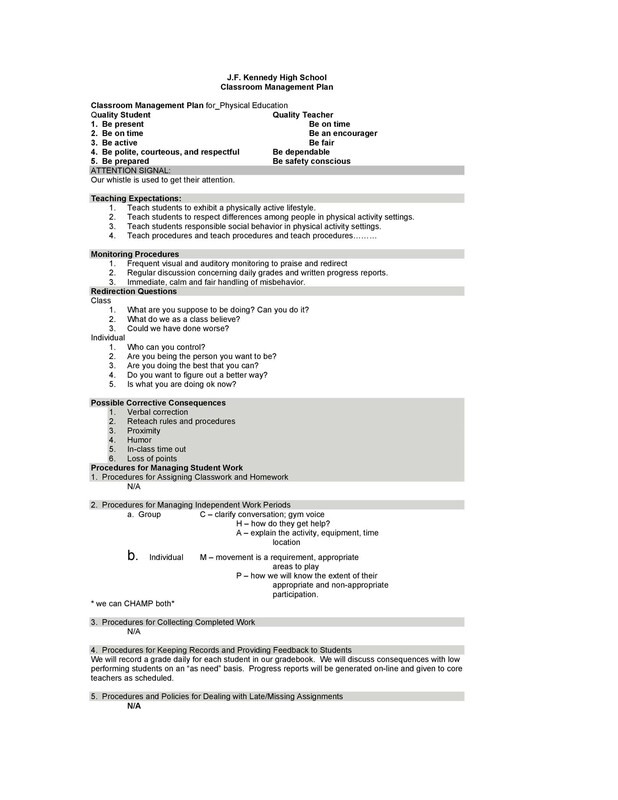 Positive reinforcements are present in mostly all management plans. Incentives/rewards in the form of stickers and stars can motivate the students to do/excel batter. Think about each child’s motivation. Every child has his/her own concept of a reward. Not everyone is impressed with stickers or stars. if the teacher chooses, a system could be adopted where each kid can choose his/her own reward. Consider the effects of negative reinforcement. We have only discussed to this point, positive reinforcements. What about the negative ones? This type should be progressive, that is, the teacher shouldn’t need to stop everything to enforce it. Usually, a negative reinforcement starts off with a warning because just to be fair, kids are prone to make mistakes. If the disruption continues, move on the other consequences such as a time out, then a write-up and then a letter sent home. Decide on the timeframe of the consequences you enforce. With rewards, students who earn a reward should not be excluded from earning a/or the next one. Generally, rewards should be awarded to deserving students throughout the year. Once one reward is earned, let the student move on to earning the next one. The teacher can also have these rewards progressively better than the last one to motivate the students. Decide on the rules of your class. Rules should be simple and direct to understand, even for kids. Leave no gray-areas in them to avoid questions. They should also be easily enforced. Write down all the rules. Make your basic. Term them as concise and simple. Word your rules carefully. Rules should give instructions on what to do and what not to do. For example: “keep your hands to yourselves” is much better than “Don’t touch others”. Your first day of class is the perfect time to set the tone. Building relationships with your students by being friendly and getting to know each other is a good start. It is always best to discuss the rules, rewards, and consequences of your plan so they would know immediately how you expect them to behave. 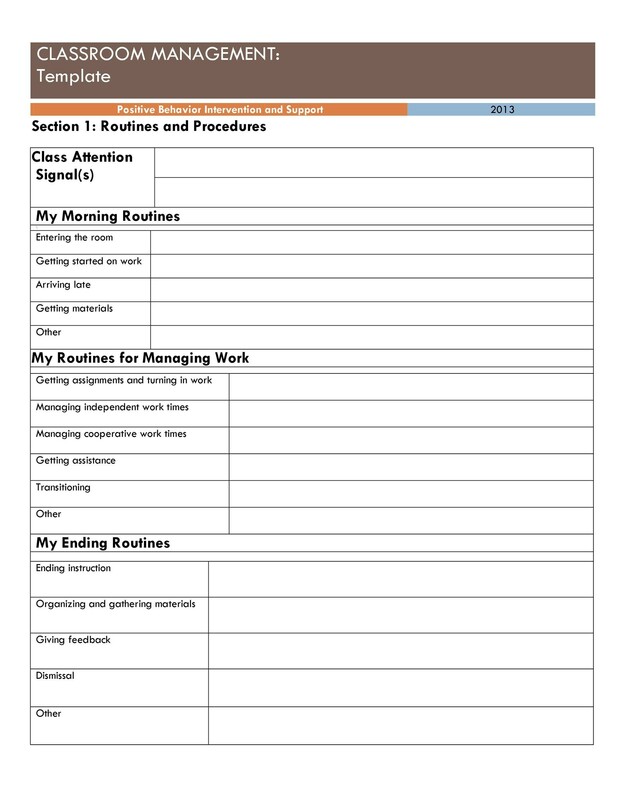 Make this procedure routine so that the students would know each day’s expectations and thereby avoid being unprepared. 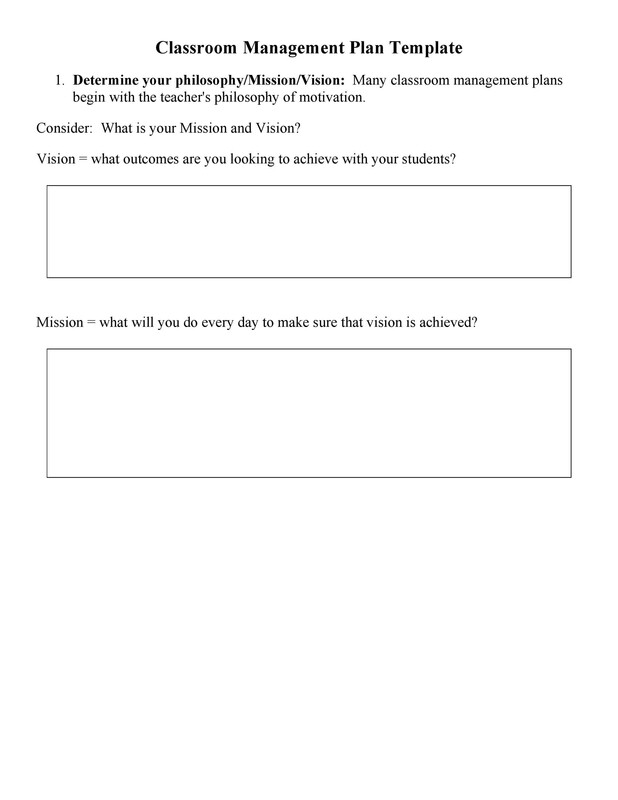 Write a letter about the plan to send home to your students. 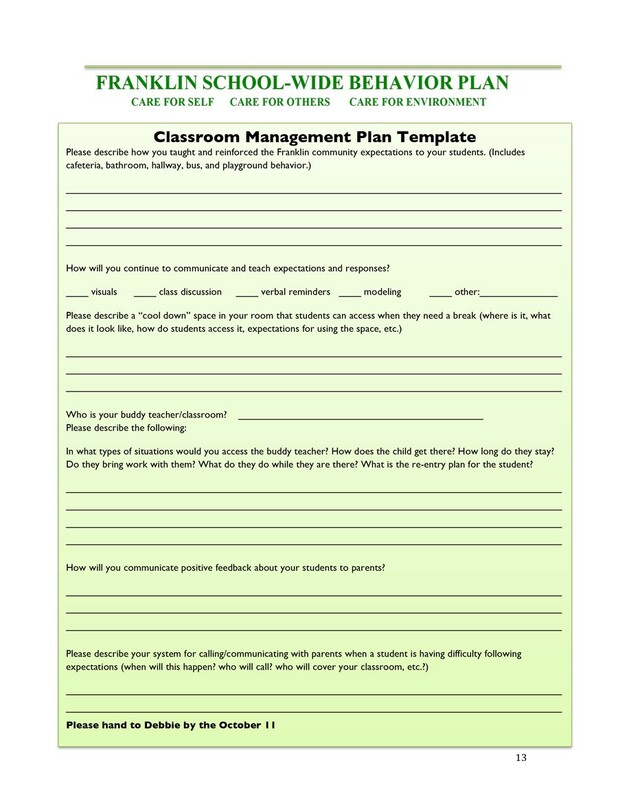 Inform the parents of your classroom management plan. Inform them about the rules, the rewards, and consequences. The parents will know at all times, what to expect the whole year. Be a good role model. The teacher must also follow classroom rules. For instance, show respect for each student’s ideas. This will reinforce the student’s respect for the teacher. Always remember to be consistent. 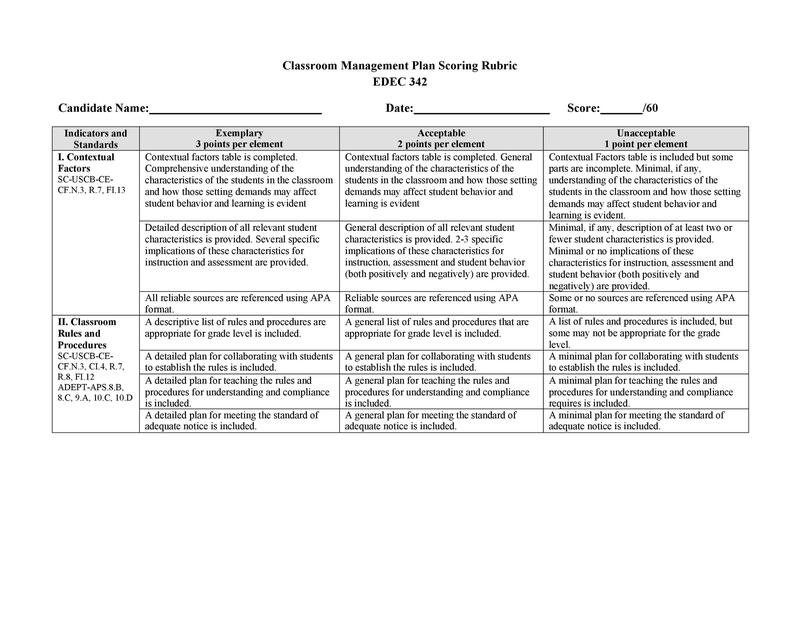 The implementation of the classroom management plan template should be consistent. That means enforcing the rules even when you don’t want to. The students will come to realize that you mean business. It will also instill discipline and build respect for the teacher. Make use of verbal and nonverbal reinforcements. Show appreciation for a student’s work when credit is due. Announcing it to class or maybe giving her a smile goes a long way. Conversely, when one kid starts misbehaving, shake your head at him/her or sway your finger or frown or make “tsking” noises. These are non-verbal. If these don’t work, then a warning is appropriate and this time it’s verbal.